This is a lovely version of a classic English pudding. The addition of elderflower gives it a heady floral note, which works beautifully with the lemon. I like to garnish this with fresh gooseberries. You can cook them briefly with a little honey perhaps, but I prefer them sliced raw and sweetened with just a little sugar and spritzed with lemon. It’s a very refreshing way to eat them and they cut the richness of the cream in the posset wonderfully. Pour the cream into a large saucepan and add the sugar and elderflower heads. Set over a medium heat and warm gently, stirring to dissolve the sugar. When it comes to the simmer turn the heat down and cook for 2 ½ - 3 minutes, without stirring. Remove from the heat and pass through a fine sieve into a bowl. Discard the flower heads. Whisk in the lemon juice and zest. Pour into a jug, then pour into six small glasses. Cool, cover, and refrigerate for 3 - 4 hours before serving. 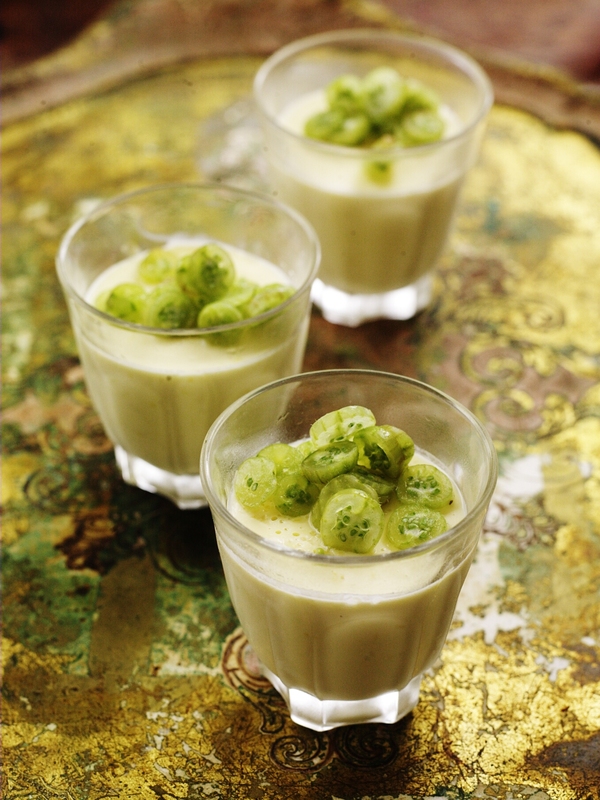 To serve, top and tail the gooseberries and slice them into 3 – 4 mm rounds and place in a bowl. Toss with the sugar and lemon juice and allow to stand for 20 – 30 minutes.